Unique Venues | Conference Services, U.Va. Nestled in the heart of Charlottesville at the foothills of the Blue Ridge Mountains, Thomas Jefferson’s original Academic Village -- known as The Lawn -- sets the scene for the stunning and storied Grounds of the University of Virginia. For those looking for a special place to host a keynote address, conference dinner, opening reception, or retreat, UVA offers a collection of beautiful and historic buildings and gardens, ballrooms, libraries, and even a sports arena. The University of Virginia’s Rotunda has seemingly been a work-in-progress from the beginning. Designed by the University’s founder, Thomas Jefferson, the Rotunda is the centerpiece of the Academical Village. The University of Virginia’s Rotunda has seemingly been a work-in-progress from the beginning. Designed by the University’s founder, Thomas Jefferson, the Rotunda is the centerpiece of the Academical Village. Modeled after the Pantheon in Rome, it was designed to house the library and be flanked on either side by faculty pavilions, interspersed with student rooms. The University was established in 1819. Jefferson presented his plans for the Rotunda to the Board of Visitors in 1821, and it was still under construction, plagued by delays and problems, when Jefferson died in 1826. Construction took several more years, and the steps leading to the south portico were not built until 1832. The Rotunda features a variety of stunning meeting, classroom, lounge, lecture, and dinner spaces, from the singular Dome Room to the Oval Rooms and the West Courtyard. For more site-specific information, visit rotunda.virginia.edu. With the University as your backdrop, entertain your guests at historic Alumni Hall. 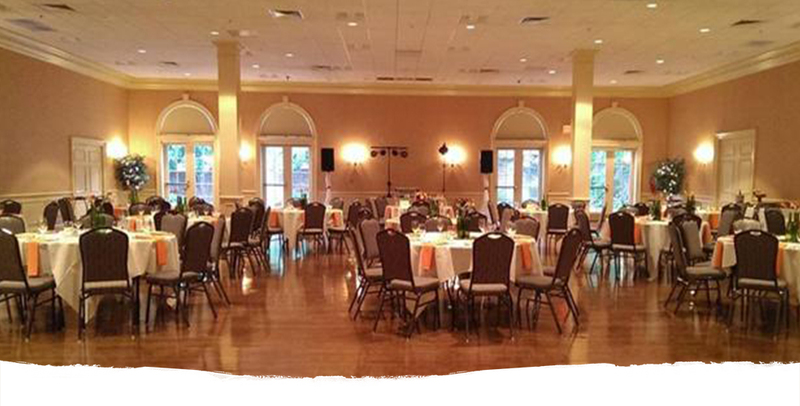 The relaxed, friendly atmosphere makes it an ideal location for your event. Alumni Hall can be used by alumni and friends, students, faculty, staff and administrators, and the general public. Given its proximity to UVA Grounds and onsite parking, Alumni Hall has spaces ranging from board rooms to ballrooms, a variery of lounge and meeting spaces ideal for wedding receptions, dinners, conferences, galas, banquets, cocktail receptions, and more. For more site-specific information, visit alumni.virginia.edu/. Nestled in the midst of the historic Grounds, The Colonnade Club offers a wonderful view of some of the University of Virginia’s most well-known landmarks. The lush Lawn and the classic architecture of the surrounding pavilions create an exceptional atmosphere. Inside Pavilion VII, the ambiance continues with rooms handsomely furnished with a Jeffersonian touch. The Club offers a variety of meeting and reception spaces that can accommodate both large and small groups for a variety of events. The Fralin makes its facilities available for rental to community members, in order to increase public awareness of the Museum and to generate revenue in support of the Museum's educational programming and general operations. The museum strives to host elegant, pleasant and efficient events that share their exhibitions and programs with guests, while preserving and protecting the art environment. Special event space is offered in the Cornell Entrance Gallery, the focal point of the Museum and a lovely, warm setting for cocktail receptions and seated dinners. For more site-specific information, visit uvafralinartmuseum.virginia.edu/. 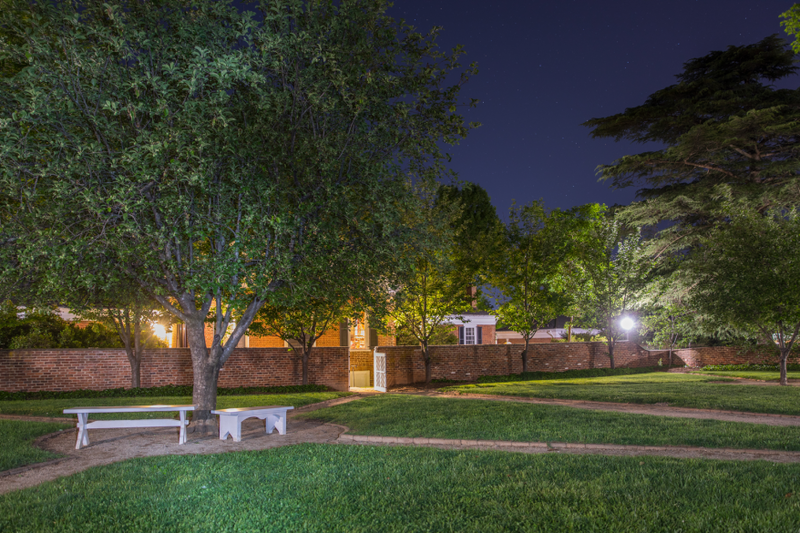 The Mary and David Harrison Institute is dedicated to enhancing knowledge and understanding of American history, literature, and culture from its earliest beginnings to the current day, especially through the use of original sources. The Mary and David Harrison Institute is dedicated to enhancing knowledge and understanding of American history, literature, and culture from its earliest beginnings to the current day, especially through the use of original sources. The Albert and Shirley Small Special Collections Library holds more than 16 million objects including manuscripts, archival records, rare books, maps, broadsides, photographs, audio and video recordings and more. The Auditorium of the Harrison Institute/Small Special Collections Library, located on the lower level of the building, is an all-purpose space that can be used for lectures, conferences, seminars, receptions, and meetings. The Byrd/Morris Seminar Rooms offer conference room space on the building's third floor. For more site-specific information, visit library.virginia.edu/services/reserve-rooms/. John Paul Jones Arena provides not only world-class entertainment, but also state-of-the-art meeting and conference spaces. The Arena has several areas that can be configured to facilitate meetings, retreats, tradeshows, and parties of all sizes to meet your event needs. John Paul Jones Arena provides not only world-class entertainment, but also state-of-the-art meeting and conference spaces. The Arena has several areas that can be configured to facilitate meetings, retreats, tradeshows, and parties of all sizes to meet your event needs. The Tip Off Club and Courtside Club provide a more intimate atmosphere that is perfect for banquets, receptions, and socials. Historic Morven Farm -- with its Main House, Meeting Barn, Old Kitchen, Barn No. 3., Stone House, Japanese Garden and House, and Formal Gardens -- provide a unique platform for educational and charitable events. Historic Morven Farm -- with its Main House, Meeting Barn, Old Kitchen, Barn No. 3., Stone House, Japanese Garden and House, and Formal Gardens -- provide a unique platform for educational and charitable events. Beautifully preserved, these spaces offer a unique event destination for a variety of events and programs, from meetings and receptions to dinners and luncheons, lectures, retreats, and seminars. They are available for use with approval from the University. For more site-specific information, visit uvafoundation.com/morven. Newcomb Hall, the University's student center, houses a ballroom, movie theatre, dining facilities, meeting spaces, lounges, and offices. The Newcomb Hall Ballroom is located on the third floor of Newcomb Hall and hosts a large range of events such as banquet dinners, speaking engagements, and resource fairs. For more site-specific information, visit eventplanning.odos.virginia.edu/newcomb-hall-ballroom. Thomas Jefferson’s plan for the University of Virginia called for the construction of ten pavilions to serve as classrooms and faculty residences. Behind the pavilions, serpentine walls delineate separate garden spaces. The Gardens offer beautiful and unique event settings. Thomas Jefferson’s plan for the University of Virginia called for the construction of ten pavilions to serve as classrooms and faculty residences. Behind the pavilions, serpentine walls delineate separate garden spaces. The Gardens offer beautiful and unique event settings. Open to the public, any individual affiliated with UVA may reserve the Gardens for private functions. For more site-specific information, visit eventplanning.odos.virginia.edu/gardens. Charlottesville and its surrounding area are home to historic properties, orchards, and more than 50 vineyards, breweries, cideries, and distilleries. An abundance of beautiful and memorable sites are available within a 15-20 minute drive, offering picturesque locations for events, dinners, and side trips.